Welcome Aboard! Settle back, relax and enjoy a leisurely drive to Ithaca, New York located in the scenic New York Finger Lakes region. Upon our arrival, we enjoy a scoop of homemade ice cream at Purity Ice Cream, and we meet our step-on guide for a driving tour of Ithaca. 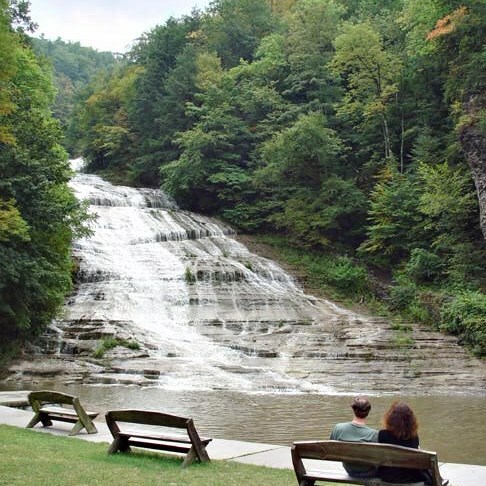 Our tour will include a stop at Buttermilk State Park, named for the foaming series of cascades and rapids of Buttermilk Creek that flows down the steep valley side toward Cayuga Lake. 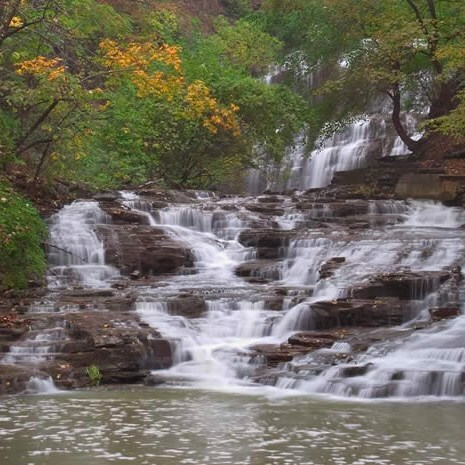 Enjoy views of Buttermilk Falls, the largest of the 10 waterfalls along the creek, and the first of four waterfalls we'll see on this tour. Note: Minimal walking is required to enjoy the Buttermilk Falls. Later we arrive at the Statler Hotel on Cornell Campus for a delicious dinner before checking into the Country Inn & Suites for the next three nights. After a buffet breakfast, we meet our step-on guide, and depart for a full day of exploring Ithaca. Our first stop is at Cornell Plantations, a public botanical garden and arboretum. Maintained by Cornell University as part of one of America's most renowned university campuses, Cornell Plantations is recognized for its great natural beauty and serenity. Our guide will conduct a driving tour through the 200-acre F.R. Newman Arboretum and will include a stop at the brand-new Brian C. Nevin Welcome Center. Here, visitors will find interpretive exhibits about Cornell Plantations, a reception desk, fully accessible restrooms, a gift shop, and small café. Our touring continues with the "Fabulous Falls Above Cayuga Tour"! 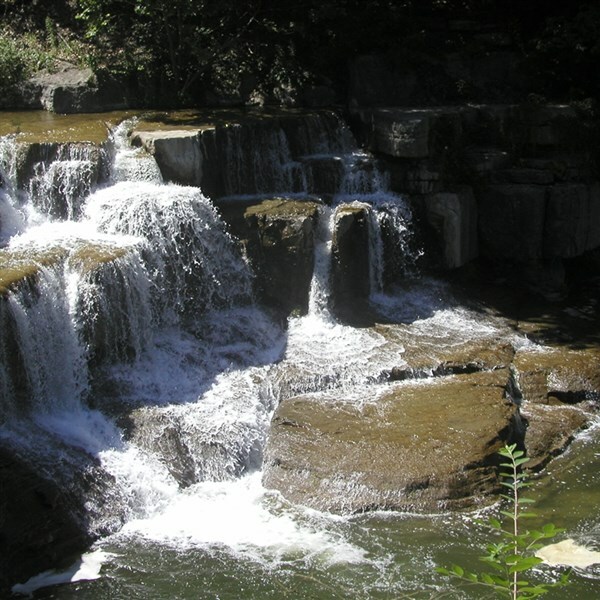 Highlights of our tour will include photo-stops at waterfalls along Fall Creek and Cascadilla Creek. These creeks border the beautiful Cornell University Campus and provide "gorges" sites along its shores that are local favorites. You may also choose to view the falls from Cornell's pedestrian suspension bridge over the falls creek (.4 mile or 10-minutes by foot). Our tour culminates with an up-close-and-personal visit to Ithaca Falls, downtown Ithaca's 135-foot waterfall. After our tour enjoy exploring downtown Ithaca and browse its many specialty shops and restaurants. 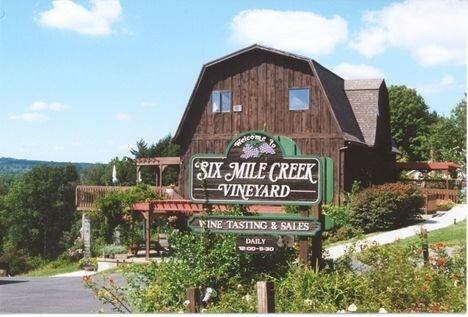 After lunch on your own, we arrive at Six Mile Creek Vineyard for a wine tasting paired with local cheeses before returning to the hotel to relax and refresh for a tasty dinner at the Boatyard Grill, a casual, waterfront, nautical-themed restaurant. After a buffet breakfast, we meet our step-on guide, and depart for a full day of sightseeing that will feature 3 Finger Lakes! 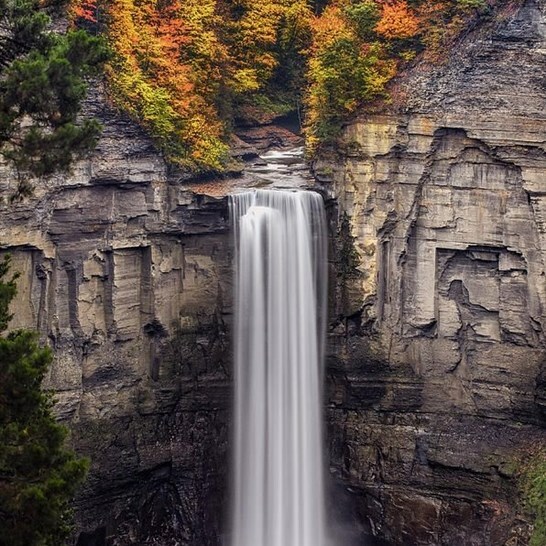 Our first destination is Taughannock Falls State Park and visit one of the outstanding natural attractions of the northeast, the Taughannock Falls, which plunges 215-feet past rocky cliffs that tower nearly 400-feet above its gorge. You may choose to enjoy the easy walking trail (1.5 miles round trip) to the base of the gorge or wait until we arrive by motor coach to the Taughannock Falls Overlook for wonderful views of the falls cataract and part of the surrounding glen. Next we travel to Lively Run Goat Dairy in Interlaken, New York. To provide you with the best possible tour experience we will first view a 10-minute video explaining the history of Lively Run Dairy, the cheese-making process, and more. Enjoy a visit to the barn and see the goats before we end the tour with a cheese tasting. Next we depart for Sheldrake Point Winery in Ovid, New York. 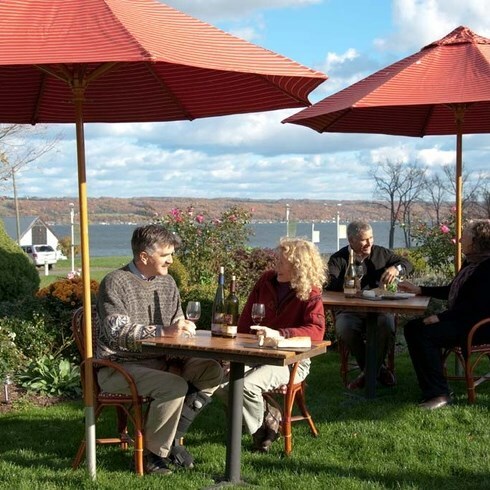 Sheldrake Point Winery overlooks Cayuga Lake, the longest, widest and deepest of the 11 Finger Lakes. Enjoy a tasting of selected wines and light lunch refreshments. This afternoon we climb aboard the Canandaigua Lady, a working replica of an authentic 19th-century paddlewheel steamboat, for a narrated sightseeing cruise on the Canandaigua Lake. Next we travel to Red Jacket Orchards in Geneva, New York for a refreshing drink and some time to browse and shop for Finger Lake souvenirs and pantry items at the farm store. Red Jacket Orchards has mastered the art of harvesting and pressing premium fruits and juices. Before returning to our hotel we are treated to a delicious dinner at Belhurst Castle, overlooking spectacular Seneca Lake in the heart of the Finger Lakes wine region. After a buffet breakfast, we depart for Corning, New York and the Corning Museum of Glass. Our docent tour guide will educate us on both the history and the changing exhibitions such as the new Contemporary Glass Gallery installation. See the world's best glass collection and explore 35 centuries of glassmaking through nearly 50,000 objects - from a tiny glass portrait to an ancient Egyptian pharaoh to larger-than-life contemporary sculpture and daily hot glass shows. After our tour make your own sandblasted glass souvenir to take home with you! Following lunch on your own in the Museum Cafeteria, settle back and enjoy a movie on our drive home, while reminiscing about our get-away with many fond memories of our delightful Finger Lakes wineries and waterfalls adventures!